We all know that google is most popular search engine and all of us use google daily, but do you know that you can do lot of fun from google. 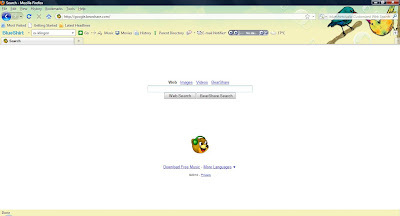 If you get bored of that google search engine page then now you can set diffrent styles of search pages as your homepage of browser. 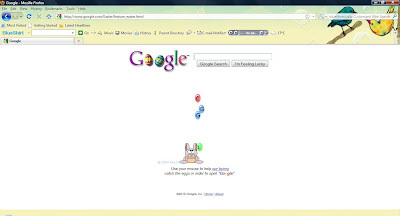 Open google.com -> write google easter eggs -> click on m feeling lucky. you can set above as your homepage. Its really cute you can control bummy with mouse and try to catch spell of google. 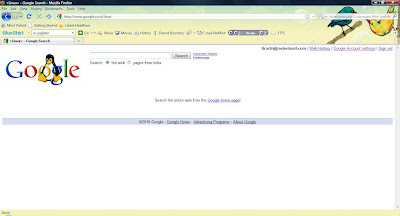 Open google.com -> write google bearshare -> click on m feeling lucky. Open google.com -> write google bsd -> click on m feeling lucky. 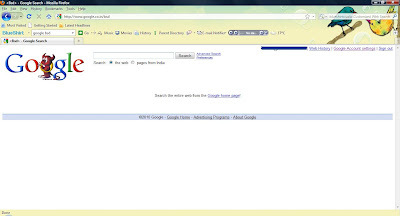 Open google.com -> write google linux -> click on m feeling lucky. 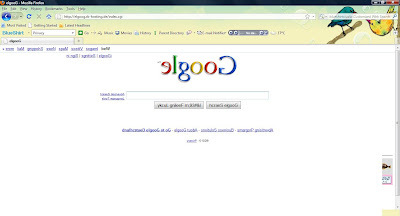 Open google.com -> write elgoog -> click on m feeling lucky.